All Stars Media posted Thursday January 31, 2019. 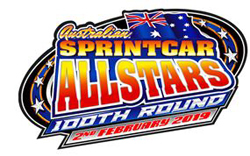 At Blue Ribbon Raceway, Horsham a milestone event will take place this Saturday with the running of the Series 100th round. 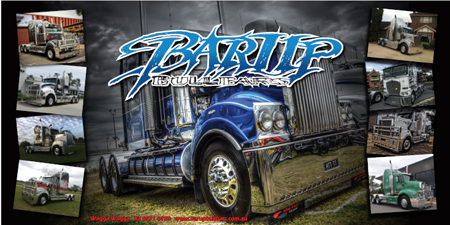 “Who would have ever thought all those year ago on February 9th 2008 at Bacchus Marsh Speedway we would get to celebrate 100 rounds. We had 18 cars at our first ever show which a great effort back was then as 360s weren’t very popular. We held our first drivers meeting and amongst those drivers were Phil Lock, Brad Foster, Paul Solomon, Chris Solomon & Tony Moule. These guys are still standing strong at our Drivers meetings today and giving a bit of cheek as our series elders. Then there are the Father’s & Sons back then we had Mark Charge, Darryl Guerin, Karl Ender & Chris Evans and we now have their sons competing with us – Jordyn Charge, Brendan Guerin, Scott Enderl and Dan Evans. This is very cool. It is because of guys like these and all the others that we have continued to succeed over the years. What an achievement it is for us. I could not be prouder.” Mandy Searle tells us. With a strong field of 26 cars coming to celebrate the Mainline DynoLog Dynamometers All Star Series RD 7 the action will be guaranteed. After a gut wrenching finish at Simpson for Dan Evans SA44 Maxim with engine failure in Heat 1 and his second motor for the season Evans has managed to secure a lease engine to enable him to continue. Evans was leading the series going into the show at Simpson but slipped back to 6th by the end of the night. SA33 Mark Caruso, V29 Michael Tancredi , SA96 Brendan Guerin, V4 Phil Lock and V16 James Wren will all be looking to lock in strong results to enable them to increase their run for the End of Season Championship. Current Series Champ Paul Solomon is also returning for the night in the V7 as well as past champ Brenten Farrer in the V34 is also retuning. Both showed strong results at the Grand Annual Sprintcar Classic 2 weeks ago. In the mix we can’t forget the young hard chargers – V77 Brayden Parr, V60 Jordyn Charge & V75 Mitch Smith who are all capable of taking the major points and the money. Reed, Campbell, Holt and many more will all help make the night a thriller. Racing starts at 6.00pm Blue Ribbon Raceway, 1650 Blue Ribbon Rd, Kalkee. Horsham.